A quick blog to share that I’ve recently been involved in facilitating some workshops and art exhibitions around Canberra the past couple of weeks. I’ve been fortunate enough to provide programs with the Canberra Hospital Mental Health Unit (AMHU) for some time now, and I’ve been involved in their art exhibition as part of mental health week, which was a lot of fun. Also as part of mental health week I’ve facilitated a workshop for Connections community support service with a “Strengths to Goals” theme involving quick drawing and this was also great fun for a couple of hours. An “Environmental Superhero” cartoon workshop for kids at National Botanic Gardens competed a great week! I’ll become more frequent in sharing upcoming workshop info, now that I’m getting more programs up and running. Also, keep an eye out for my Victor the Viking cartoon in the next few weeks! The Raiders have the bye this weekend, but Victor’s home schedule is still busy! 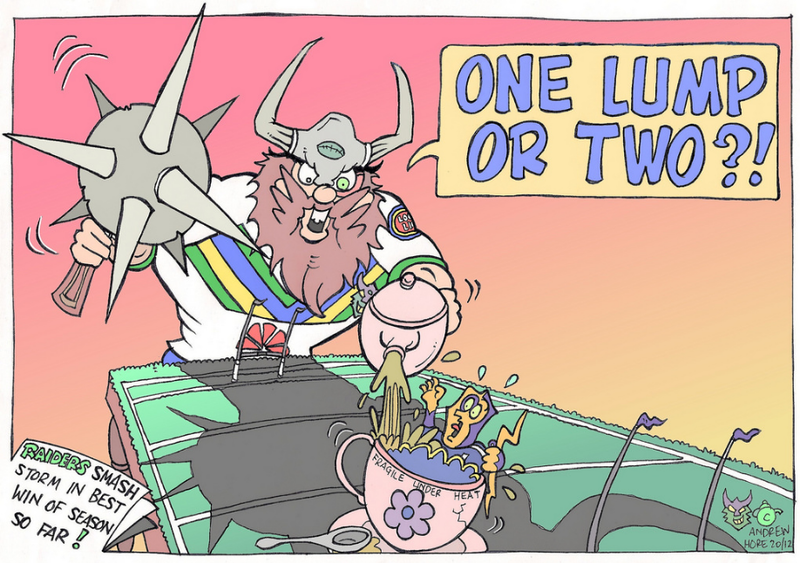 Check out a more domesticated Victor the Viking cartoon this week – just click on the Raiders link below! School’s back and so is Victor! He’ll be making his regular weekly appearance as from the first round, but until then, I hope you this year’s first instalment, as we all feel like kids again. Just click on the Raiders link below to view.